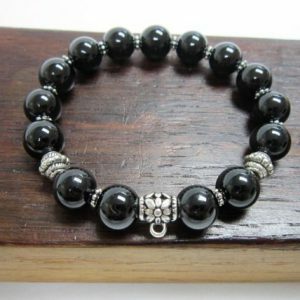 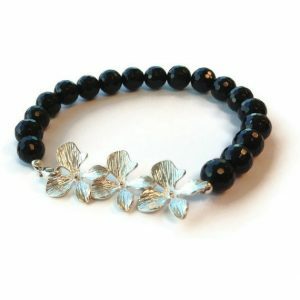 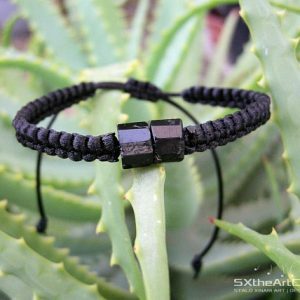 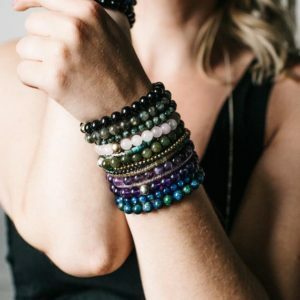 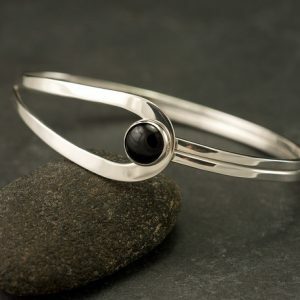 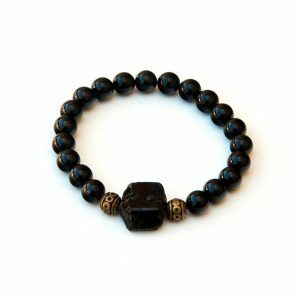 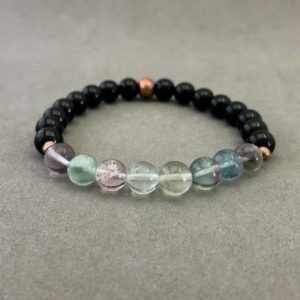 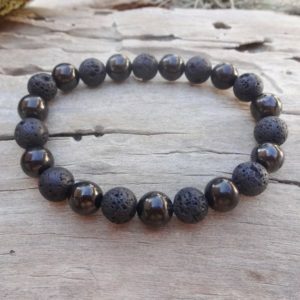 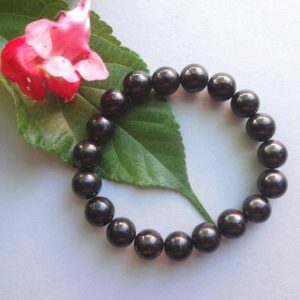 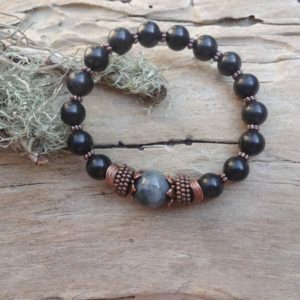 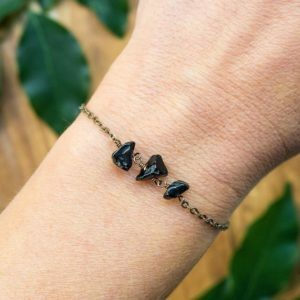 Shop bracelets made of natural black gemstone beads like black onyx, hematite, black tourmaline, and shungite. 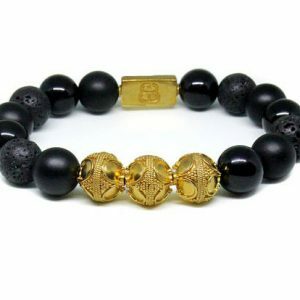 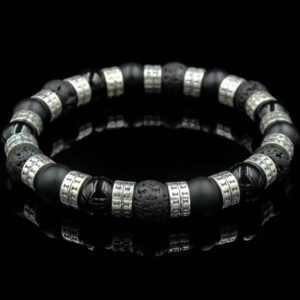 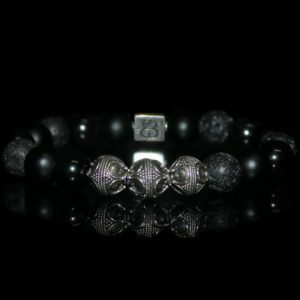 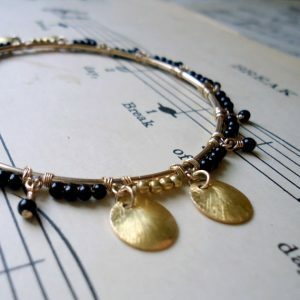 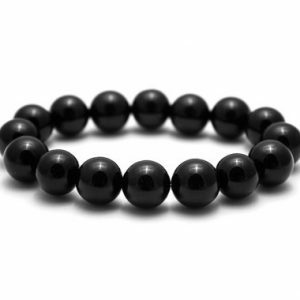 Black corresponds with the root chakra, grounding, clearing, and protection from negative energy. 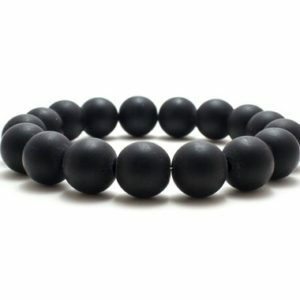 8 mm Black Shungite Bead Stretchy Bracelet Mala Yoga Buddha 19cm/7.6"
Black Tourmaline Bracelet. 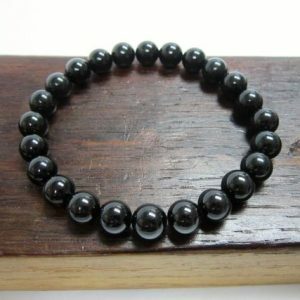 Protection, Purification. 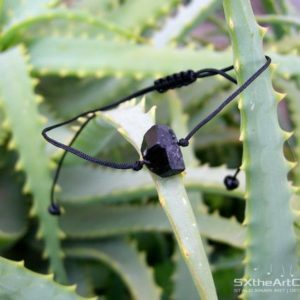 Crystal Healing. 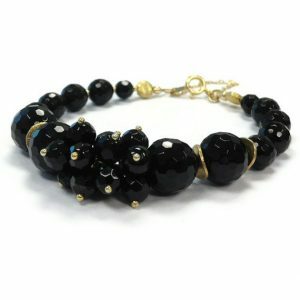 Gemstones. 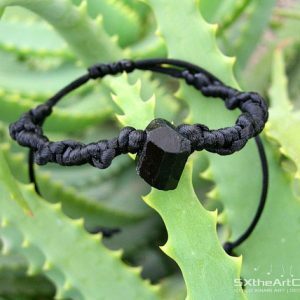 High-quality. 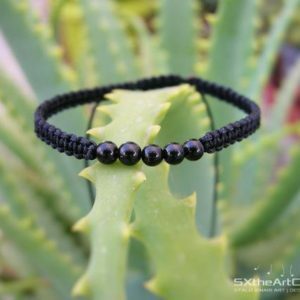 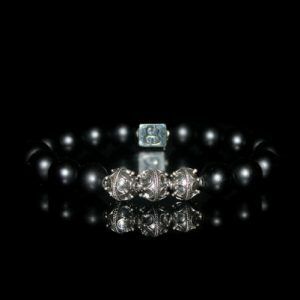 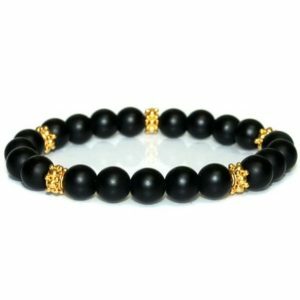 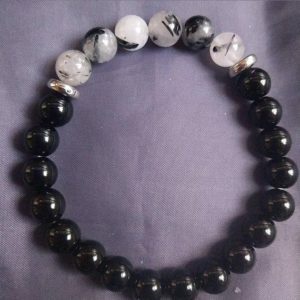 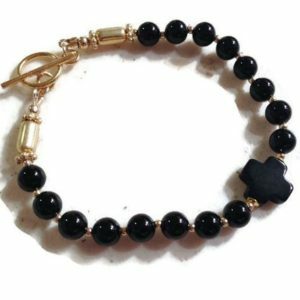 Black onyx bracelet, Beaded onyx bracelet, Genuine onyx bracelet, Black onyx gift, Black onyx jewelry, Onyx jewelry, Buy one get one free. 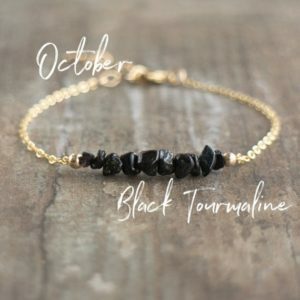 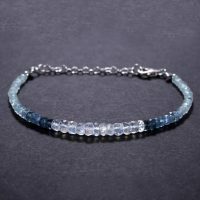 Capricorn Zodiac Bracelet Stack, Astrology Jewelry, Gemstone Horoscope Bracelet, Healing Crystals, Black Tourmaline Bracelet, Birthday Gift!